An homage for the 20 year anniversary of my favorite basketball movie! 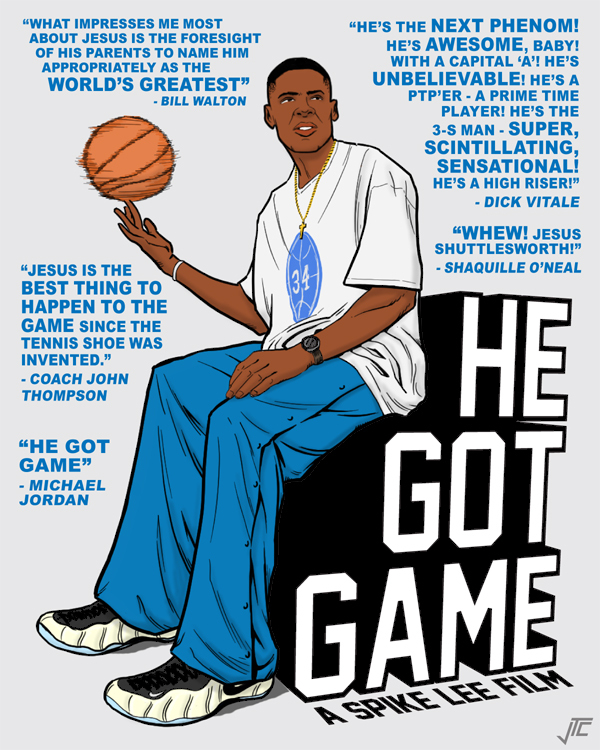 The quotes were from the movie itself where real announcers, players, and coaches were raving about Jesus Shuttlesworth. Gotta love the classic Dickie V sayings!